Some routes to teaching are traditional, and others are not. 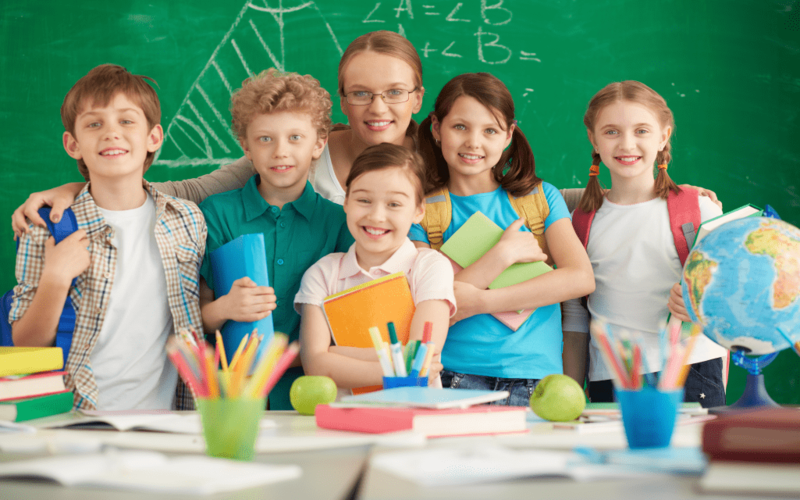 Some ways you will gain experience through sustained, hands-on engagement with classrooms of students, and other routes will require that you attend college and university in order to graduate as a fully qualified teacher. Be sure that you scope out the likelihood of receiving a scholarship if you have your heart set on becoming a teacher, or a financial grant if the cost of tuition is a concern of yours. You will also have to undertake a period of student teaching and gain enough mastery of lesson structure, and student support before you can teach your own group of pupils. Once you’ve decided that teaching is for you, then you can begin researching suitable courses and programs. Make sure that your search is wide and conducted thoroughly, after all you’re choosing where you’re going to have to spend the next few years of your life studying. Consider studying for an Elementary Education Masters degree online, and reap the rewards of deciding your own flexible work hours. By taking part in such a program, you gain knowledge and insight through eight self-paced online courses, field-based experiences that involves a full practicum of 450 hours – equivalent to 15 weeks of teaching experience, and immersion events such as seminars, guest speakers, and networking events. Lastly, you prepare for exams and gain support for your Initial License. Share your interests and passions with others, and more specifically the young minds of the future. As a teacher, your responsibility is to educate young people and help them find areas in which they excel. You’re imparting wisdom over topics of a broad nature since you’re typically required to teach literature, mathematics, the sciences, as well as the arts. You should also foster student’s ability to think for themselves, and form opinions and interpretations through using their own volition. Before embarking on becoming a teacher, you should be absolutely sure that a teaching profession suits you and that you’re excited to begin. At this crucial stage, it’s important to ask yourself why you’re going forward to become a teacher, and ensure that the decision is yours and yours alone. Leadership skills are going to enable you to show your potential as a teacher, and exemplify why you’re right for the job. Begin creating professional profiles online that detail your experience and relevant employment to date, as this way you’ll have a strong online presence before actually applying for graduate jobs after you’ve completed your qualifications. It’s worth starting a LinkedIn account and networking with other professionals in the educational field too. Teachers typically possess a skill set that helps them aid others. This involves being approachable and supportive, and being organized with good time management skills. You should also have the ability to work independently as well as part of a large team, a passion and drive to see a better world unfold around them, confidence and creativity, as well as having the ability to empower and encourage others around you.